Consistant performance across many playing styles, from symphonic to jazz or bluegrass. 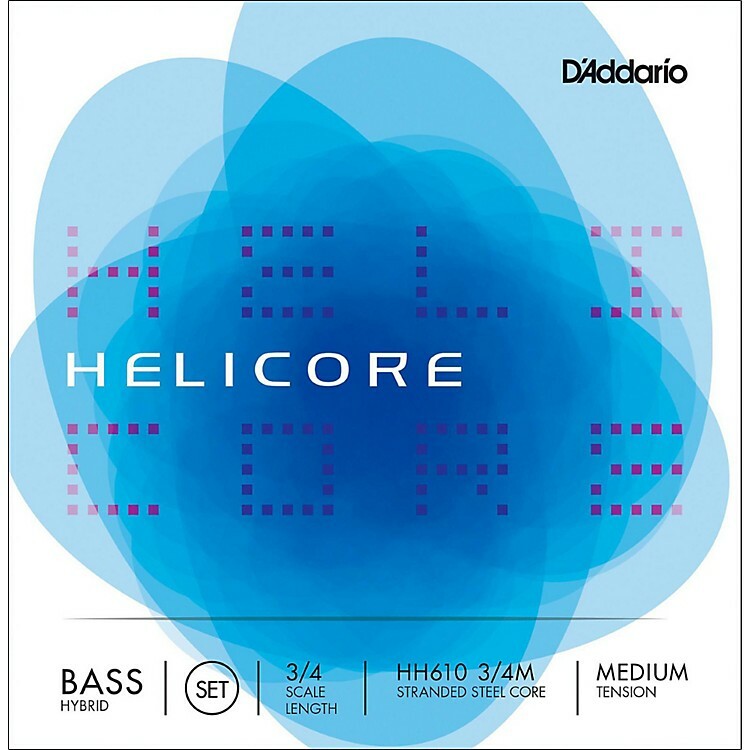 Helicore Hybrid Series Double Bass strings are multi-stranded steel core strings that produce a moderately warm tone quality. The core design makes for strings that are very easy to play under the left hand. Damping is optimized to create a good balance between pizzicato sustain and bow response, allowing for good performance across many playing styles, from symphonic to jazz or bluegrass.